Bye2 March and hello to April. Everything seems fast didn't it? 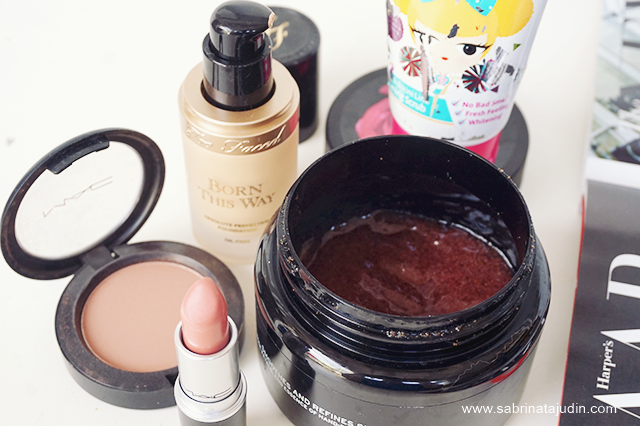 So as usual, I will be featuring some of my most reach, love product for the past month. Maybe you can discover some new products to try on and what I think works great and stuff that worth trying! 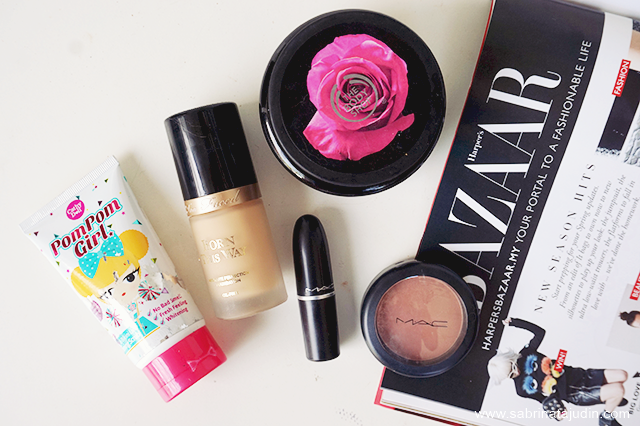 In no particular order, here are some of the beauty products I have been loving for the past month. Share yours in the comment below! I would love to know! Best discovery ever! I saw this at Guardian, attracted by its cute packaging and the price. So I give it a try. I have been using this everyday since I got it. At last I found a staple product for my underarms. As what I find that deodorant clog my underarm pores and washing it by hand alone are not enough. This scrub has help a lot. I felt that It deeply cleanse my underarms and reduce pores under my arms. And i find that I am more comfortable with my body. When I sweat, I felt that my BO is reduced. With such a great price, this is such a holy grail product for me. The scrub are also so fine and nice when I massage it in. Love this! This retails for RM13.90. You can buy it at Guardian. Another tak regret lagsung purchase of mine. Currently my favorite everyday foundation. It has natural coverage, but still concealer my redness, does not oxidize and the color is true to my skin. My shade is n Vanilla. It has a satin finish and it blends so nicely on my skin. Love this! I bought this from Sephora Johor for RM138.00. Another scrubby-scrubby product that I have been loving. It is from The Body Shop. I use this to exfoliate my legs and hand. I use this after shaving and it gently removes dirt at the same time does not dry out my skin. This retails for RM105.00. I also have a full review post here. All I can say it I love the shade! Not too natural not too bold. Perfect for my everyday look. It has a matte finish, looks so nice over a lip balm. Each MAC lipstick retails for RM74.00. Another MAC love over here. I have been into natural and no makeup look mood during my pregnancy. This is by far my most natural matte blush sahde. Super blendable and natural. Might dive in into more MAC blushers after this! Each MAC Blush retails for RM84.00. hehe yep, they are now available at Guardian. Happy shopping!